Syria’s spiraling violence has resulted in the confirmed killings of nearly 93,000 people, but the real number is likely to be far higher, the United Nations revealed today. The new death toll released in Geneva points to the seemingly unstoppable carnage that has engulfed Syria for more than two years. An average of more than 5,000 people have been killed every month since July, while the Damascus region and Aleppo have recorded the highest tolls since November, the UN’s human rights office said in its latest study of documented deaths. Among the victims were at least 6,561 children, including 1,729 children younger than 10. In Damascus, officials said that at least one mortar shell fell on the edge of Damascus International Airport close to the runway, briefly disrupting flights in and out of the capital. The country’s transportation minister Mahmoud Ibrahim Said told Syrian TV that a shell fired by ‘terrorists’ struck near a warehouse, breaking its windows and injuring a worker there. The Britain-based Syrian Observatory for Human Rights says rebel fighters targeted the airport with home-made rockets. The attack came a few weeks after the government announced it had secured the Damascus airport road, which had been targeted by rebels in the past. The incident also came as President Bashar Assad’s forces wage an offensive to drive rebels out of central provinces of Homs and Hama, as well as the northern province of Aleppo, following a major success in regaining control of the strategic town of Qusair near the border with Lebanon. Boosted by their battleground victory, regime forces appear set on securing control of the central region, a linchpin area linking Damascus with regime strongholds on the Mediterranean coast, and Aleppo to the north. In a new analysis of the Syrian death toll issued in Geneva, the U.N.’s human rights office documented 92,901 killings between March 2011 and the end of April 2013. But the U.N.’s top human rights official, Navi Pillay, said it was impossible to provide an exact current figure. The last such analysis, released in January, documented nearly 60,000 killings through the end of November. Since then, U.N. officials had estimated higher numbers. ‘The constant flow of killings continues at shockingly high levels, with more than 5,000 killings documented every month since last July,’ said Pillay. 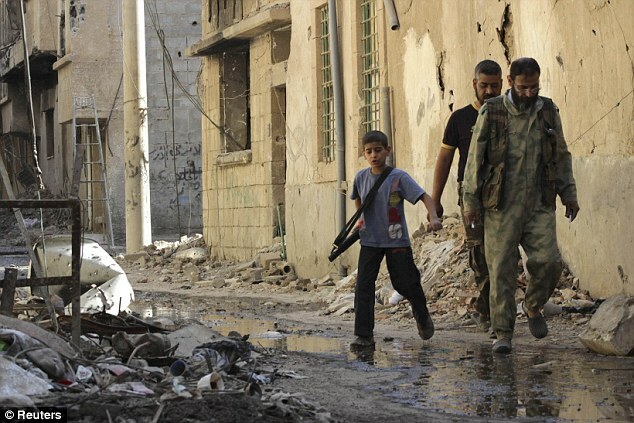 The conflict in Syria began in March 2011 as largely peaceful protests against Assad’s autocratic regime. After a relentless government crackdown on the protests, many Syrians took up arms against the regime, turning the uprising into an armed rebellion that morphed into civil war. The U.N. said the average monthly number of documented killings has risen from around 1,000 per month in the summer of 2011 to an average of more than 5,000 per month since last July. At its height from July to October 2012, the number of killings rose above 6,000 per month. ‘Civilians are bearing the brunt of widespread, violent and often indiscriminate attacks which are devastating whole swaths of major towns and cities, as well as outlying villages,’ Pillay said. ‘Government forces are shelling and launching aerial attacks on urban areas day in and day out, and are also using strategic missiles and cluster and thermobaric bombs. 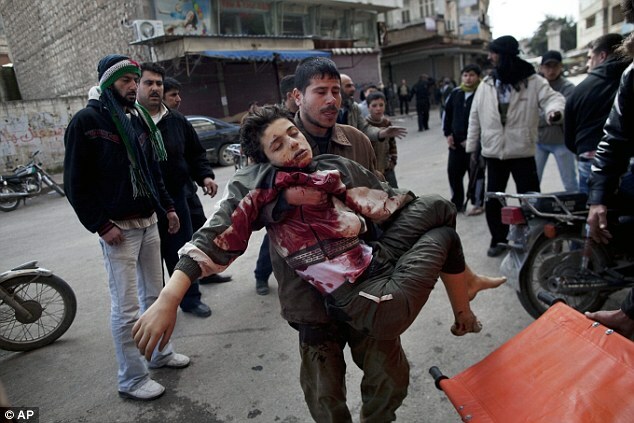 The most documented killings were in rural Damascus, with 17,800 people dead. Next were Homs, with 16,400; Aleppo, 11,900; and Idlib, 10,300.